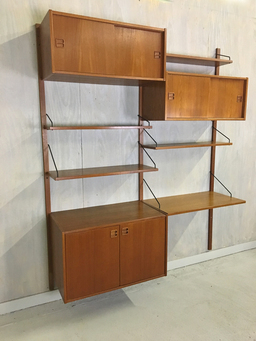 Teak wall mounted unit designed by Poul Cadovius in the 1950’s for Cado in Denmark. 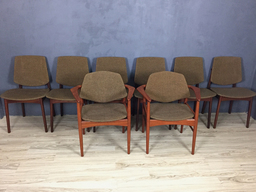 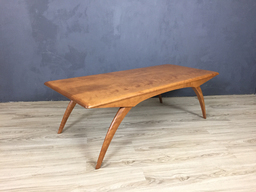 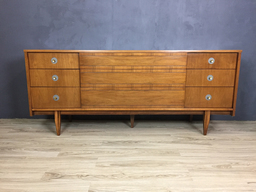 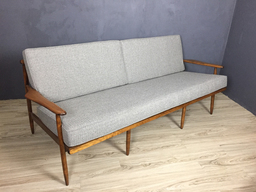 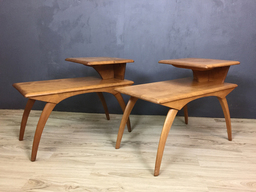 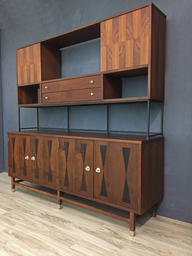 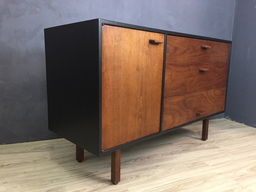 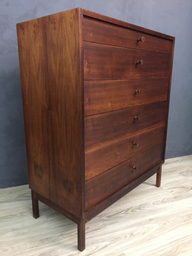 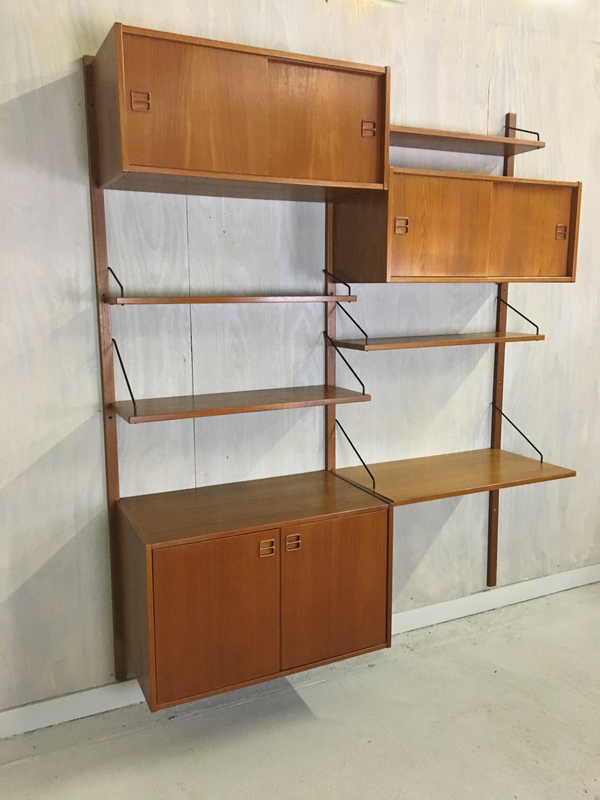 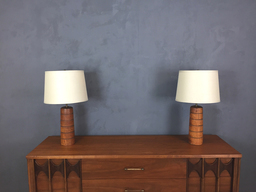 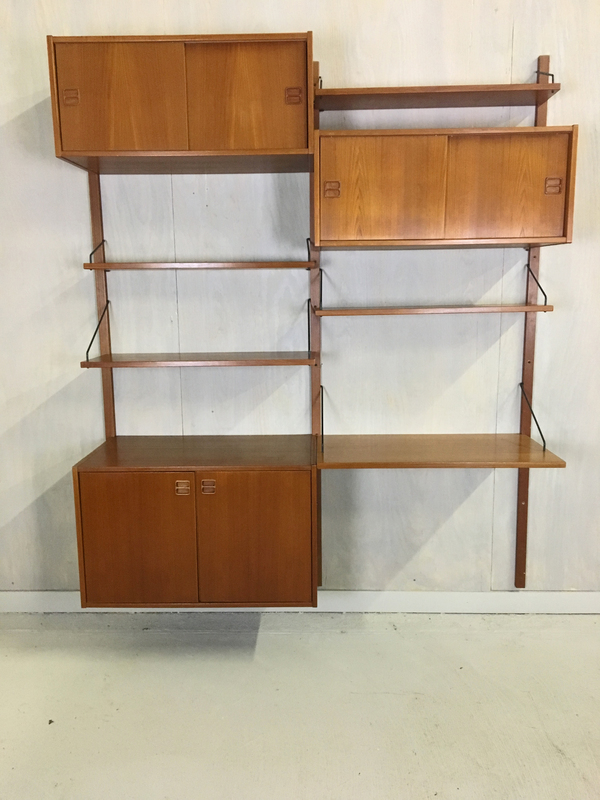 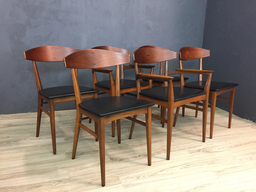 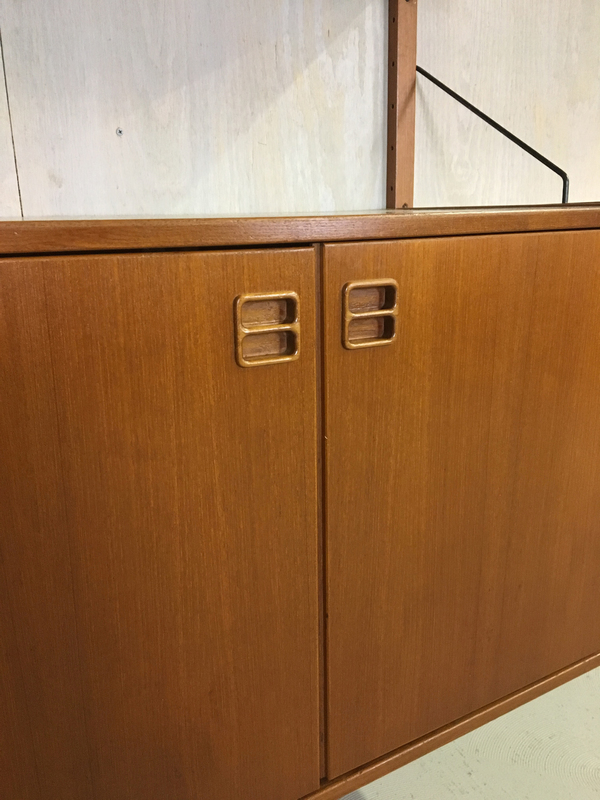 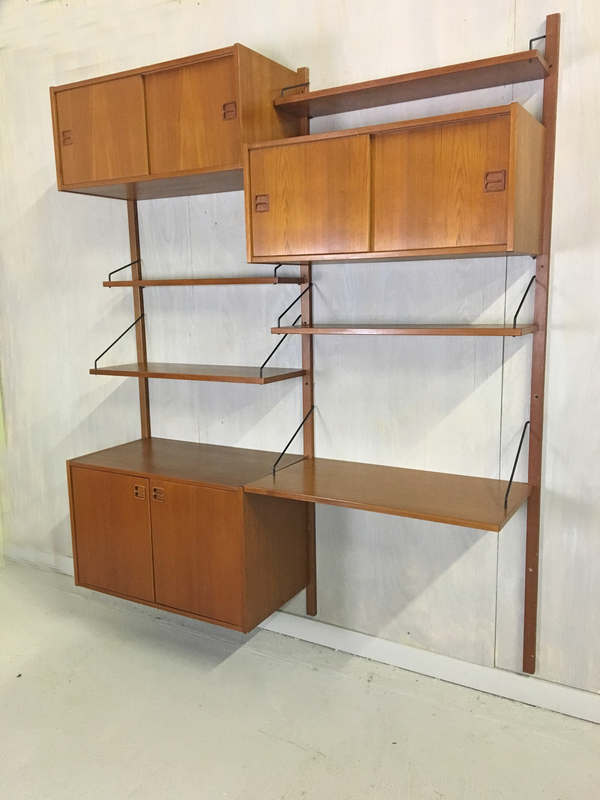 The unit is circa 1960’s and features one large cabinet with doors, two smaller sliding door cabinets, elegant inset teak wood pulls and metal shelf brackets. Pictured here is one large 17" shelf positioned as a desk; a 12" shelf; a 10" and two 8". 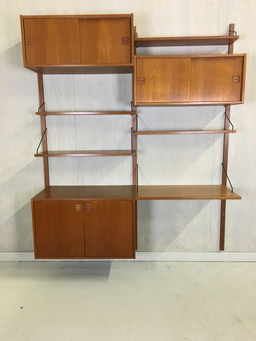 We have three additional shelves; two 12" shelves and one 8". In addition to the brackets pictured, we have one additional set of brackets for the 12" shelf. 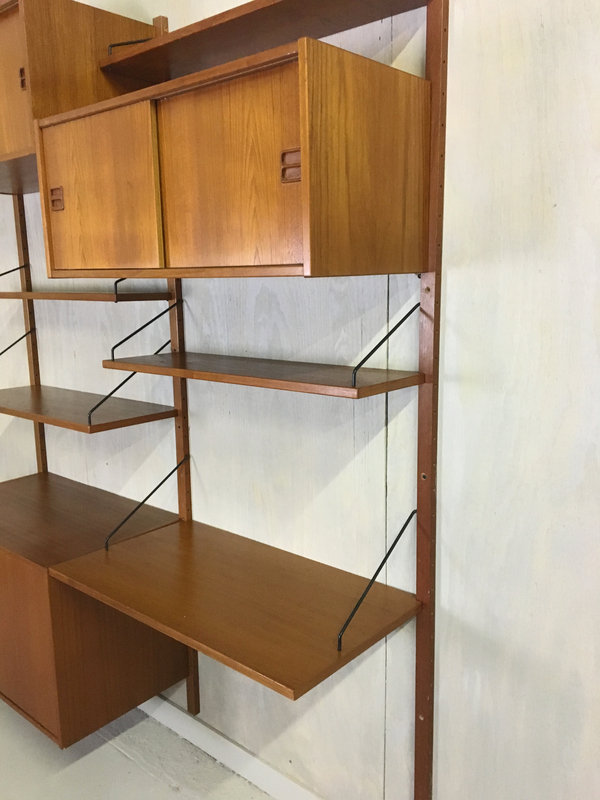 Please note that 2 shelves do not include brackets. 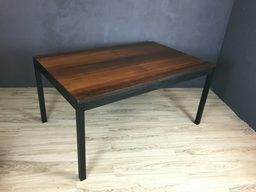 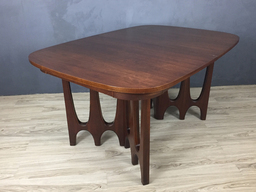 All pieces can be positioned as desired. 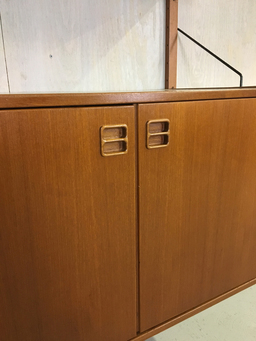 The wall posts have some extra holes drilled in them but this does not impact the stability or functionality of the piece. 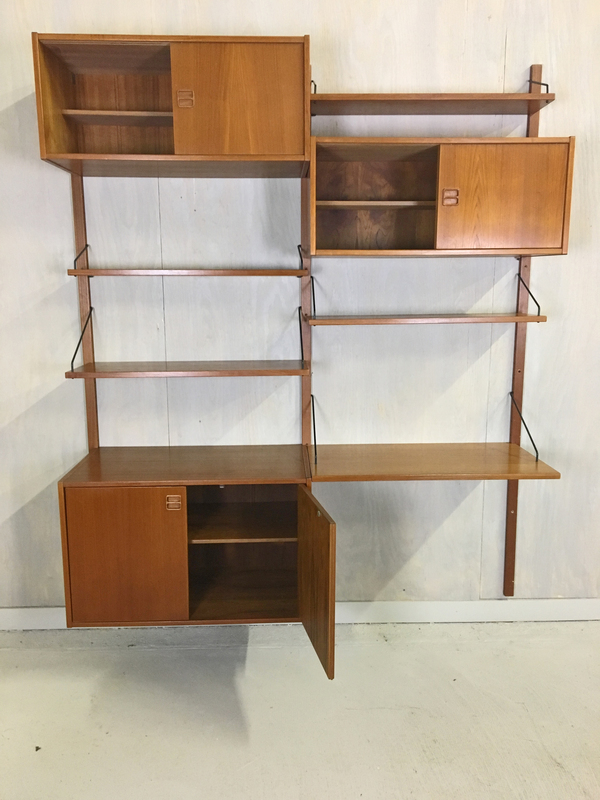 Diagram and instructions are included.